Reverend Maria Crompton first felt the call of God on her life at the age of 12. At a Wednesday night service at her home church in Westwood, NJ, a guest minister called Reverend Crompton to the altar and boldly proclaimed: “God is going to use you.” As a Minister, Motivational Speaker, Liturgical Dancer, Youth Advocate and former case manager for the Division of Child Protection & Permanency, Reverend Crompton lives her life being used by God. Reverend Crompton received the Bachelor of Arts degree in Religious Studies and English from Drew University and the Master of Divinity from Princeton Theological Seminary. 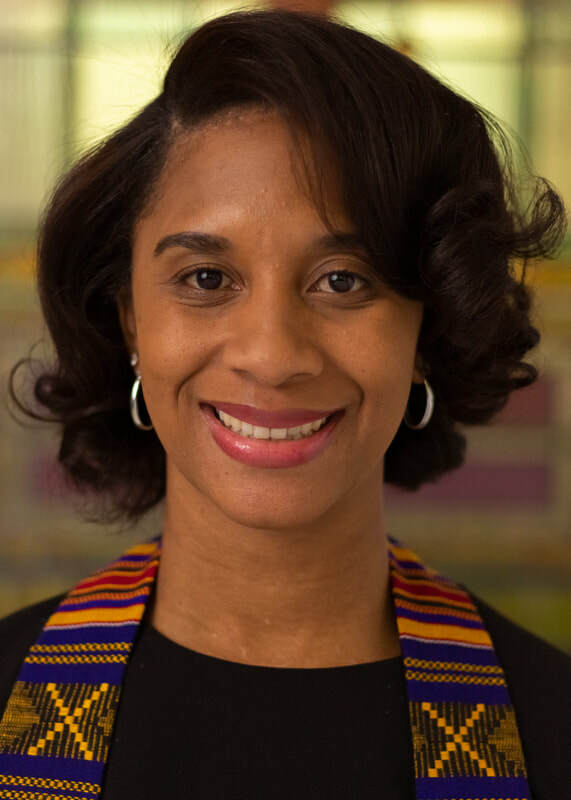 As a result of her passion for youth ministry and commitment to engaging, equipping and empowering the next generation, Reverend Crompton has had the privilege of serving as the Minister for Children, Youth and Families at Middle Collegiate Church in New York City as well as the Pastor for Youth at First Congregational United Church of Christ in Irvington, NJ. Reverend Crompton’s passion for young people transcends the church as she feels called to empower youth not only spiritually, but socially and emotionally as well. As a Youth Advocate, Reverend Crompton counsels and mentors youth who have experienced various forms of abuse and for seven years, Reverend Crompton was a Family Service Specialist working with the Division of Child Protection and Permanency. Reverend Crompton currently serves as the Pastor of Elmwood United Presbyterian Church located in East Orange, New Jersey. Reverend Crompton is married to Andre Crompton and they have two children, Nilah Marie and Andre Joshua. Reverend Crompton does not take credit for anything that she has done. She believes that like Esther, God has placed her in this position for such a time as this! 10:00 a.m - 4:30 p.m.